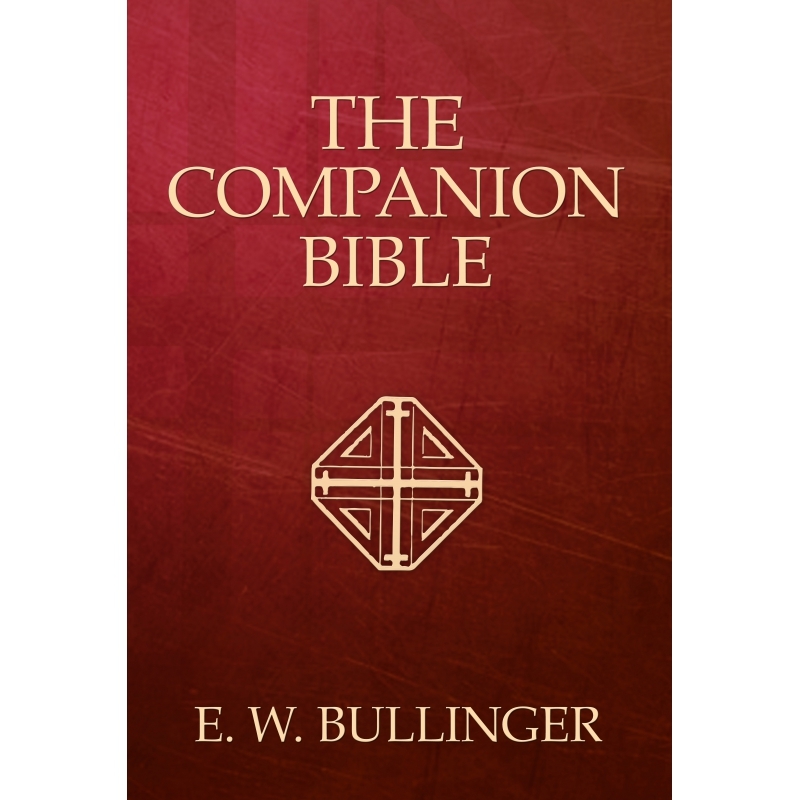 The Companion Bible Notes, by E. W. Bullinger (ed. 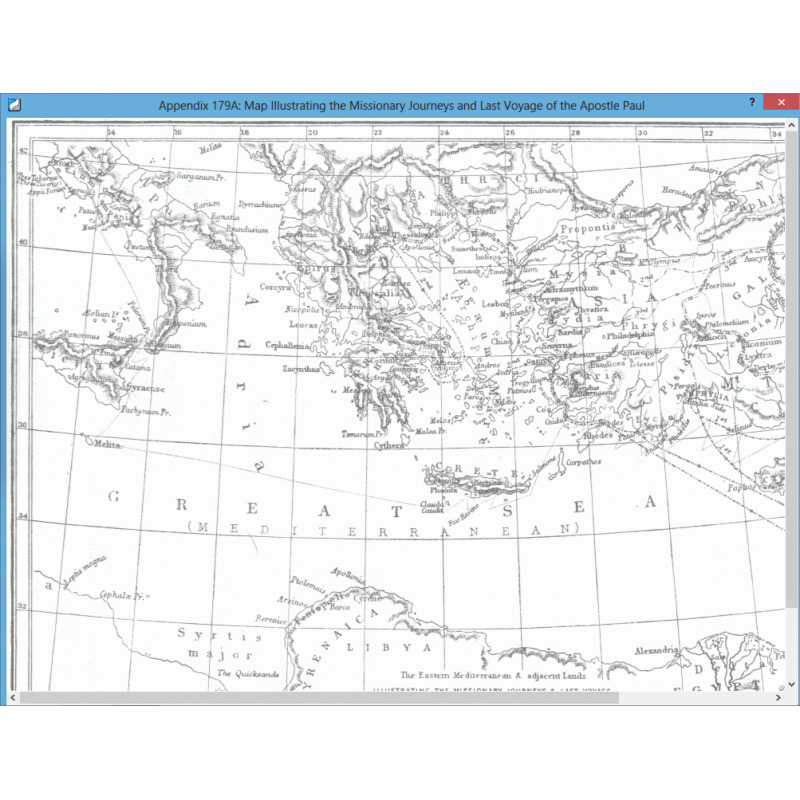 ), is a very popular study aid with an avid following. 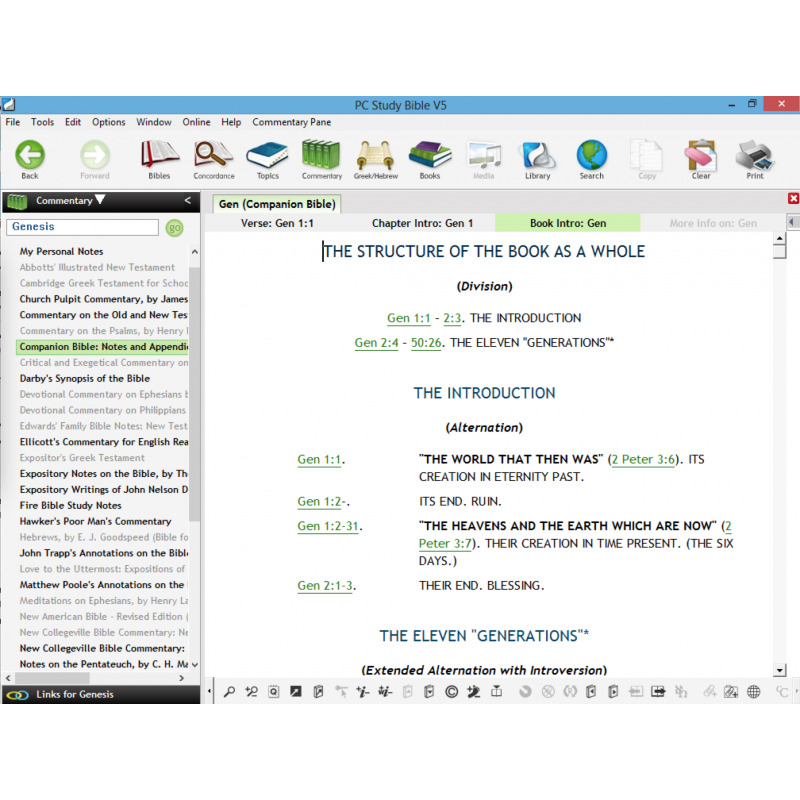 Used by many since the early 1900’s and based on the KJV, it has excellent textual study notes and detailed outlines on numerous thematic studies. 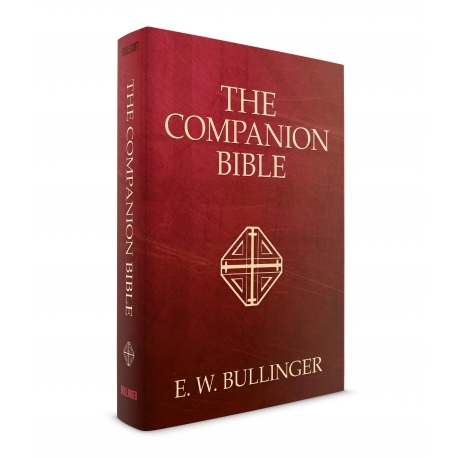 The Companion Bible Notes, by E. W. Bullinger, is a very popular study aid with an avid following. 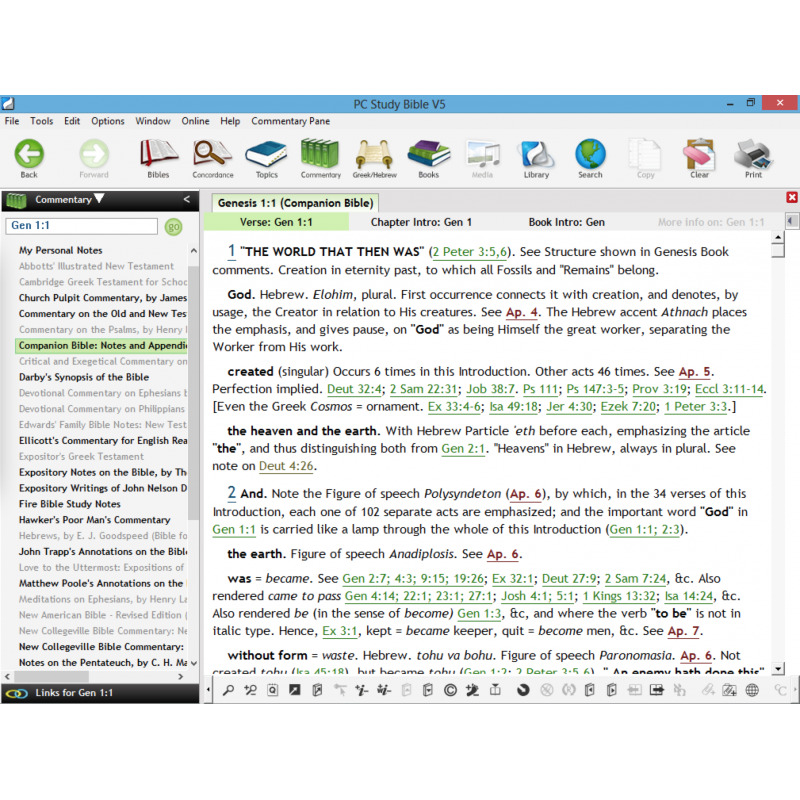 Used by many since the early 1900’s and based on the KJV, it has excellent textual study notes and detailed outlines on numerous thematic studies. 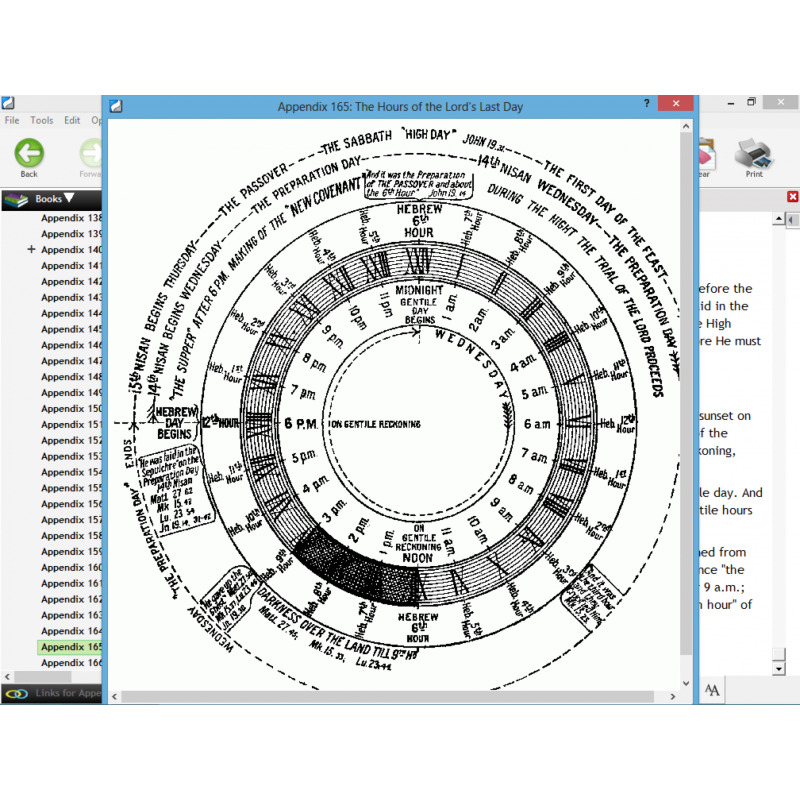 The work also includes 198 different appendices of Hebrew and Greek words and their use, additional studies on biblical usage of figures of speech, study charts, lists of proper names, calendars, timelines, and much more. Many of the Old Testament notes contain references to a significant work by Christian David Ginsburgon the Massorah (small writings in the margins of the Hebrew texts). Bullinger is reportedly the only Christian that Ginzberg allowed to help him with his collection of the Masoretic Notes or even to see them. Bullinger’s work is widely read in Dispensationalist circles and also by others interested in his unique and sometimes controversial studies on subjects often avoided by other scholars. The outlines and appendices are regarded by many as the best parts of the Companion Bible, and are extensive. Bullinger produced an expanded, compound outline set for each book and connected it to notes throughout. 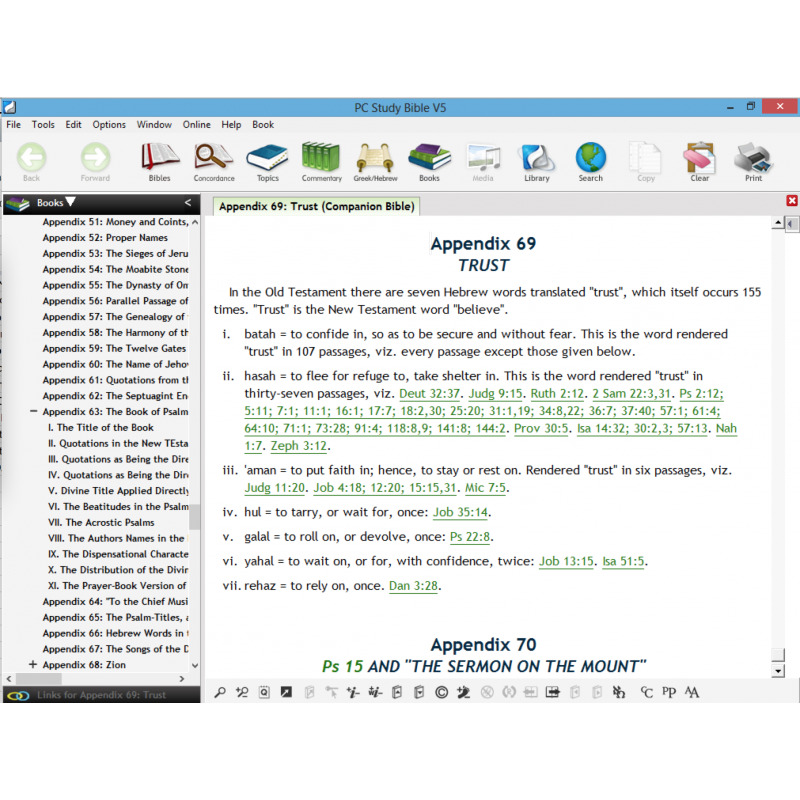 Biblesoft has enhanced the accessibility of these outlines by producing a simplified and streamlined outline at the beginning of each book in order to help you get the most from them. 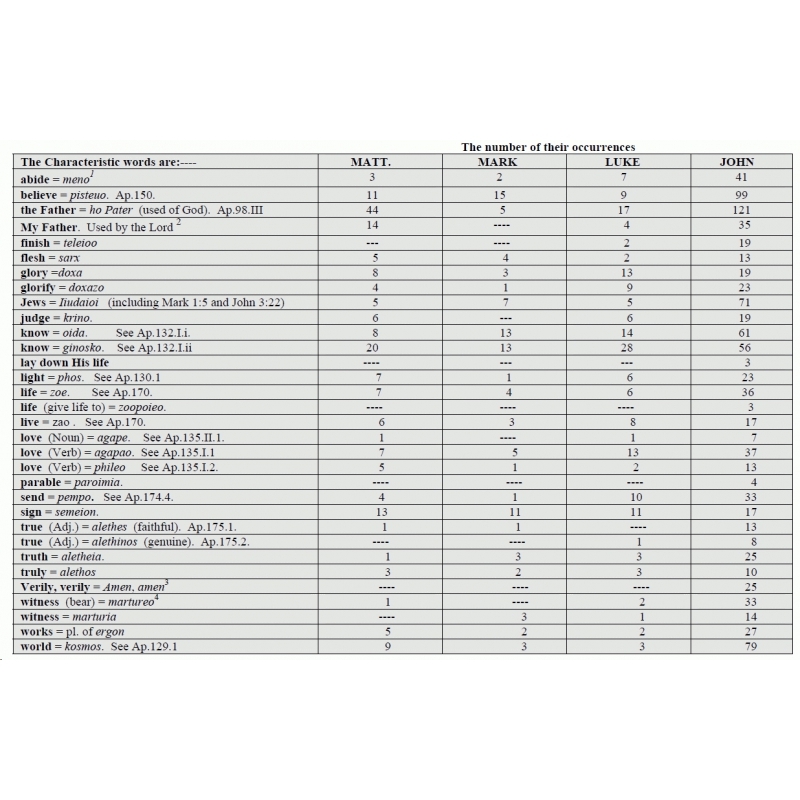 There are also a significant number of Word Studies - especially in the New Testament. Notes with Hebrew and Greek analysis also give alternate translations of critical passages and list other relevant texts. The purpose of the Holy Spirit by John, in his presentation of the Messiah, is to say to us and to all, "Behold your God"; and His Deity is observed throughout this Gospel. See John 1:3,14,33,34,49; 3:13,14; 5:23,26; 6:51,62; 8:58; 13:33, &c. This is emphasized by the first and last references (John 1:1; 20:28,31). The same purpose and design are seen in the presentation of the Lord as having the Divine attribute of Omniscience. This is not entirely absent in the other Gospels; but it pervades the fourth Gospel, and is manifested by much more frequent reference (see Table below). In this connection the presentation of the Lord as God required special words which are not needed and are not found in the other Gospels. Attention is called to some 84 in the notes. But of important words which are characteristic of this Gospel, and are found in other Gospels, the necessity of their more frequent use will be seen from the following examples which are set out below, and referred to in the notes. In most cases the number of the occurrences is more than in all the other three put together. 1 Meno is rendered (in John):"abide," 22 times; "dwell," 5; "remain," 5; "continue," 3; "endure," 1; "abide still," 1; "tarry," 3; "be present," once. In John's Epistles it occ. 26 times: 67 times in all. 2 See John 2:16; 5:17,43; 6:32,65; 8:19,19,28,38,49,54; 10:17,18,25,29,29,32,37; 14:2,7,12,20,21,23,28,; John 1:1,8,10,15,23,24; 16:10; 20:17,17,21. On the other hand, the expression "our Father" does not occur at all, and the reason is evident. Nor does the word huios = son, as used of believers as being the "sons of God"; but always teknon . Paul uses huios of believers (Rom 8:14,19; Gal 4:7). But he uses teknon also in (Rom 8:16,17,21; Phil 2:15; Eph 5:1). John uses huios almost exclusively for the Lord. The reason for this is evident also. 3 In order to emphasize the greater authority with which the Lord spoke, as God, and as coming with double importance. 4, 5, 6 See Page 1511 in The Companion Bible. 1 In the beginning. Greek. en (Ap. 104.) arche. Occurs four times in the N.T. 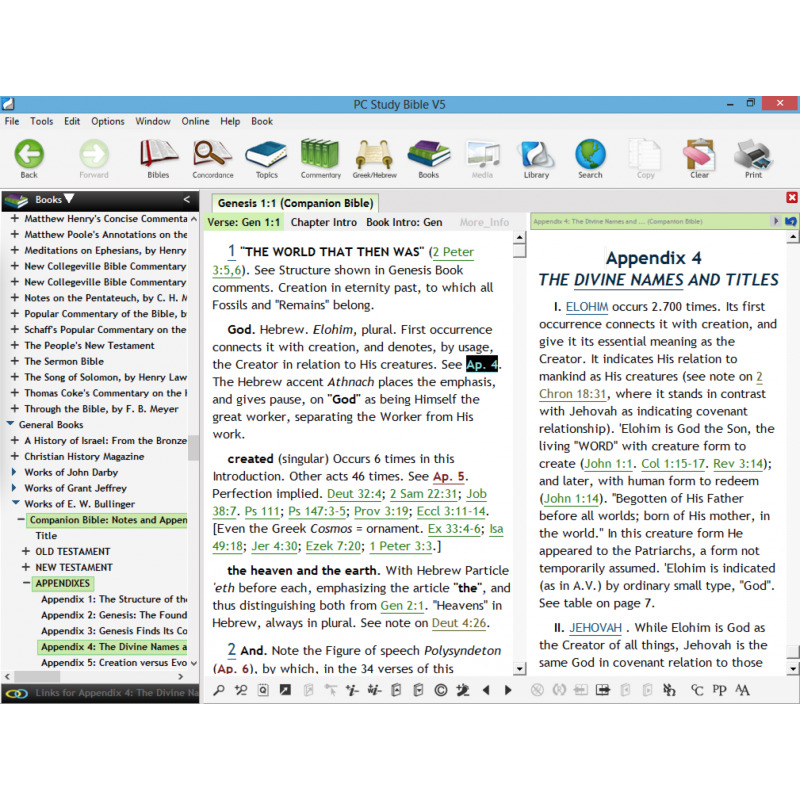 (Compare Gen 1:1). The context will always supply the dependent word (where it is not expressed). Here, and in John 1:2, supply "[of the aions = ages "]; for the Logos then "was", and the aims were prepared by Him (Heb 1:2; 11:3). In Acts 11:15 supply "[of our ministry" (John 2:4)]. In Phil 4:15 supply "[the proclamation of] the Gospel". For the combination of arche, with other prepositions, see notes on John 6:64 ("ex arches"); on John 8:44 ("ap" arches"); on Heb 1:10 ("kat" arches"). was = was [already pre-existent]. Creation is not mentioned till John 1:3. "The Word had no beginning". See John 1:3; 17:5; 1 John 1:1; Eph 1:4; Prov 8:23; Ps 90:2. Compare John 8:58. Not the same "was "as in John 1:14.
the Word. Greek. Logos. As the spoken word reveals the invisible thought, so the Living Word reveals the invisible God. Compare John 1:18.
and. Note the Figure of speech Polysyndeton. Ap. 6. with. Greek. pros. Ap. 104. Implying personal presence and relation. Compare John 1:18. God. With the Art. = the revealed God of the Bible. Ap. 98.
the Word was God. This is correct. The Art. designates "the Word" as the subject. The order of the words has to do only with the emphasis, which is thus placed on the predicate, while "the Word "is the subject. was God. Here "God "is without the Art., because it denotes the conception of God as Infinite, Eternal, Perfect, Almighty, &c. Contrast John 4:24.